Some of the biggest Republican donors are using super PACs to win the loyalties of Republican delegates, according to Politico. The anti-Trump Our Principles PAC has spearheaded the strategy in an effort to block Donald Trump's support. Before the primaries in North Dakota, Colorado, and Wyoming, Our Principles PAC contacted registered delegates to gauge their loyalties, according to Politico. The PAC targeted the delegates in these three states with mobile advertising. It also had three operatives working in each state to influence attendees at the state conventions. These operatives planted anti-Trump voter guides that portrayed the real estate mogul as a faux-conservative with a history of pandering to both political parties. Another new super PAC, #NeverTrump, is already planning for the GOP convention in Cleveland, Ohio. As its name suggests, the super PAC was formed to build a grassroots movement and digital army against Trump. The PAC's staff have booked their hotels in Cleveland and are preparing to target the delegates at the convention, according to USA Today. Meanwhile, the super PAC supporting Ted Cruz, Keep the Promise, is trying to persuade unbound delegates to back Cruz, and the delegates already pledged to other candidates to vote for Cruz in a contested convention, according to USA Today. The battle for delegates has generated increasing attention in recent weeks, particularly in Colorado. Cruz scooped the entire state's 34 delegates without any votes. His win was controversial because the Colorado GOP canceled the primary vote back in August 2015. Cruz relied on his campaign's superior organization to capture the votes of the delegates themselves, taking Trump's campaign by surprise. 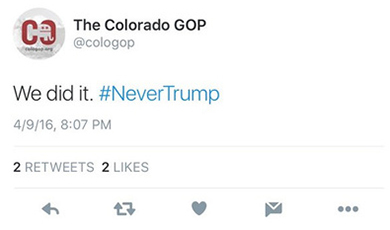 Suspicions swirled as to why Colorado canceled its primary after this tweet from the Colorado GOP was sent out shortly after Cruz won all of the state's delegates. Cruz just won a victory similar to Colorado in Wyoming, where he picked up all 14 of the state's delegates on April 9. The state doesn't have a primary vote. Instead, 475 party activists gathered to hold a convention. Again, Cruz's campaign outsmarted Trump's by making delegate outreach a priority. 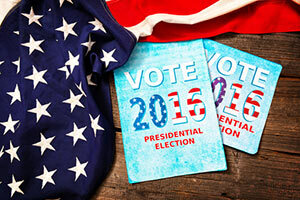 With delegate loyalties on the line, super PACs are an increasingly useful tool to prepare for a brokered convention. But it seems the Cruz camp and other anti-Trump movements will continue to explore their effectiveness.